Medications are part of our lives as this help alleviate our physical ailments and manage our pains. In our aging years as well, the need for medications can increase. Aside from the usual prescriptions, many seniors will now have to take maintenance medications or treatments for long-term illnesses. These are those pills that need constant refill. Without timely refills, the patient may fall into non-adherence, which can be more harmful to their condition. 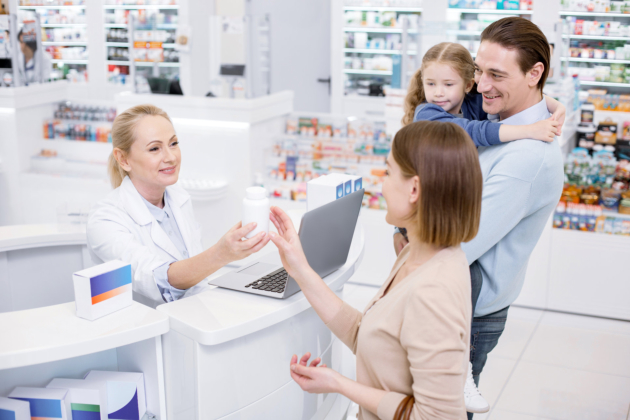 Thanks to technology, your Pharmacy in Seattle, Washington can now accommodate your health records so that the refill requests will be less of a hassle. When you’re getting this service, let us share with you some important reminders as you order for refills. Raise these matters with your pharmacist as you make your refill request. Clarify the medical information you have in their record and the one provided by your doctor. If it’s your first time to have your record in this pharmacy, it’s vital that you can ensure that all the details are correct. Even if it’s not your first time, you can still verify if their records reflect the medicine’s information and your reactions to those. Don’t be hesitant to ask as this can help manage your condition. Ask your pharmacist for tips or medicine containers that children or pets cannot meddle with. You wouldn’t want your little one playing with your pills and thinking that it’s candy. Always consider your children at home when you have new medicines or your refills are coming. Your pharmacist should be able to assist you in getting a child-resistant medicine container. Get assistance from the pharmacist regarding the correct measurement device for your liquid medicines. While teaspoons and tablespoons may sound familiar, you shouldn’t rely on the traditional kitchen teaspoons and tablespoons as these cannot provide the adequate dosage you or your loved ones need. Your pharmacist can also give you guidance on how to properly store your refilled medicines. You must have known this already as this is not your first time to buy the drugs, but asking for that information again can’t do any harm. Before your requested medicine is packed, double check if it’s the exact name reflected in your doctor’s prescription. Check for the medicine’s instructions and see if it follows what your doctor has told you. If this can open up for further questions such as how to get Special Packaging in Seattle, Washington, don’t hesitate to raise them to your pharmacist. As you take charge of your health, your adherence to prescriptions is a must. Complying with your doctor’s instructions can help you manage your health and facilitate speedy healing if it’s for treatment. When you’re also unable to drop by the pharmacy and pick the medicines yourself, our pharmacy has services on Prescriptions Delivery in Seattle, Washington. We can make your refill requests more convenient with free delivery. Just connect with our online portal at Eastern’s Pharmacy so we can take note of your delivery request. This entry was posted in Medication and tagged maintenance medications, prescriptions, refill request. Bookmark the permalink.